Watched the first video on the iMat site and I like how interactive and participatory the iMat experience is! I didn’t realize that children at such a young age could use products like this…. I will have to buy one of these (if I don’t win it) for my newborn grandson. I like that they have a video from a customer. I learned that the mat is award winning. I liked that they develop our products to excite and entertain, to challenge and delight. I love the under the seat mat. I learned that the I-mat is huge! I watched the video and loved that the i-mat teaches your child in three different languages that is super neat english, spanish and chinese. 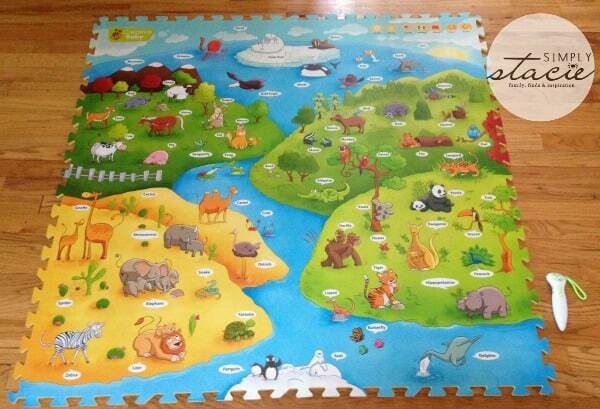 I love this mat it is brilliant. The video was really good because it shows the kids using the mat with other kids and parents too. I also like the Under The Sea I-MAT™. I like how it encourages parental involvment. That the mat is interactive. I like that it has 3 languages and is interactive. I love that the when the pen is placed on the animal that it makes the sound of the animal. Not only it teach the animal but the sound that each of them make. I love the baby on the bottom. When his mom ask him the animal and he slides across the mat to place the pen on that animal. He is adorable. 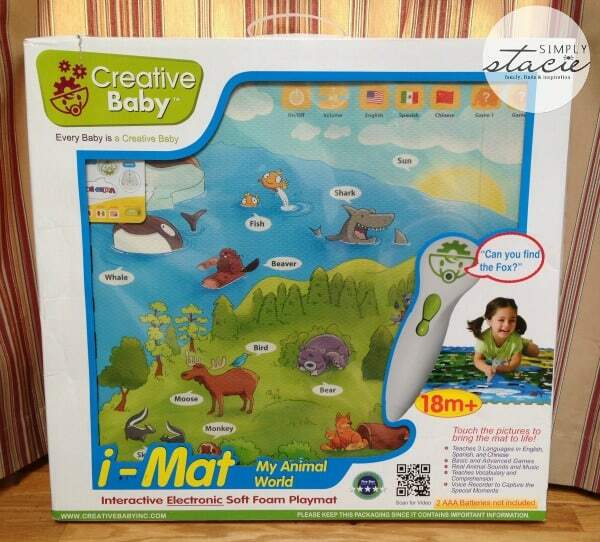 I liked the Under The Sea I Mat, this looks really educational and fun. I like that it has other languages! I love that this is also machine washable! I learned that it teaches three different languages. 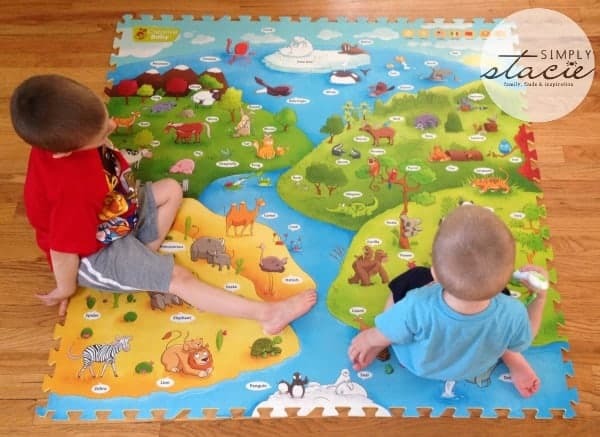 I learned that there are different levels of games to differentiate for each child and that the mat works in three languages: english, spanish, and mandarin! In our global world, this is a fantastic feature! Thanks! I watched the second video uploaded by a customer! How adorable! I loved how it really showed how easy the product is to use, how durable it is, and how fun it is! 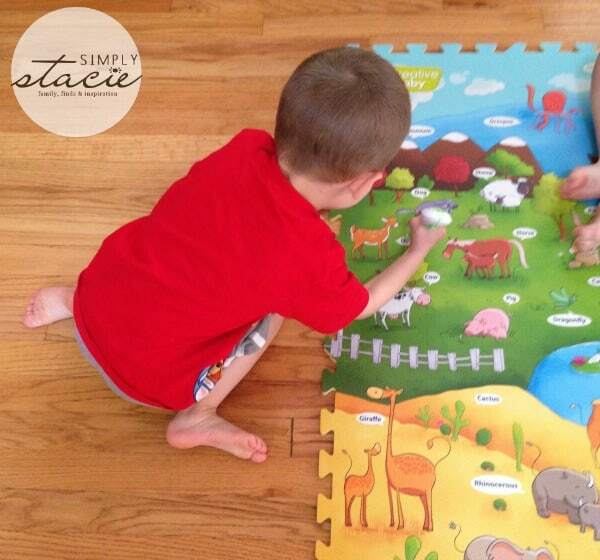 The child was so engaged and I really enjoyed how the mat played different music after each animal. I can see how this would be something any child would enjoy playing with. I like the under the seat i-Mat too. I learned that the I-Mat teaches in three languages, English, Spanish, and Mandarin Chinese, which is excellent for early learning! Love that it has 3 different languages. 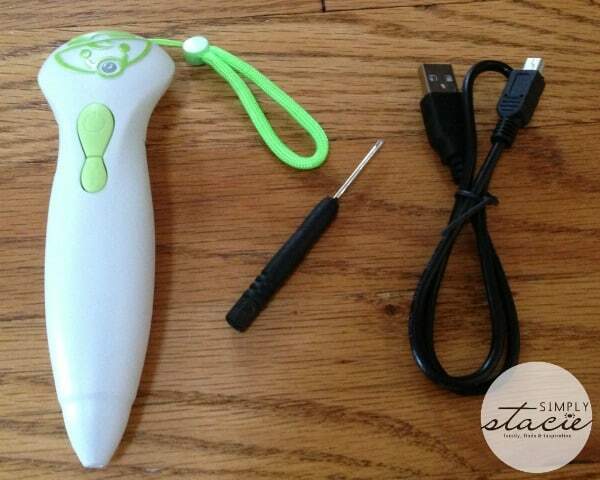 Also love the voice pen– how perfect for little hands! There mission is to create unique products that help cultivate a true love of play in children. Their products are designed to excite, entertain, challenge, and delight kids and parents alike! i like that it teaches 3 languages. I like-we believe that stimulating children’s minds through fun and engaging activities is the first step in unlocking their creative potential. I like the Pen is just right for little hands to use! i like the way the put together playing and learning.